New Pretrial Orders have been filed by the federal court overseeing hundreds of product liability claims involving the chemotherapy drug Taxotere and its alleged potential to cause permanent alopecia. Pretrial Order No. 49, filed in the U.S. District Court, Eastern District of Louisiana on July 6th, adopts a protocol for the production of electronically stored information (ESI). The protocol addresses the scope of ESI discovery, search methodology, timing of discovery, format of production and other matters. It also directs each of the parties to designate a liaison to coordinate all ESI requests and responses. Pretrial Order No. 50 was also issued on July 6th and adopts a Protective Order that sets forth guidelines governing the disclosure of certain confidential information, including. Court records indicate that more than 1,100 Taxotere lawsuits are currently undergoing coordinated pretrial proceedings in the Eastern District of Louisiana. All federally-filed hair loss claims involving the cancer drug were transferred to Louisiana last October, after the U.S. Judicial Panel on Multidistrict Litigation determined that the growing docket would benefit from consolidation. 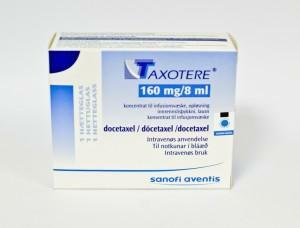 Taxotere was brought to market by Sanofi-Aventis in 1996, and was initially approved to treat breast cancer. Its approved indications have since been expanded to several other cancers. It wasn’t until December 2015, however, that the U.S. Taxotere label was updated to include mention of permanent hair loss as a potential side effect. Alopecia often accompanies chemotherapy. However, plaintiffs in Taxotere lawsuits charge that it is far more likely to cause permanent hair loss compared to other, equally effective chemotherapy agents. The GEICAM 9805 clinical trial – funded by Sanofi – suggested that 9.2% of Taxotere patients suffered hair loss that lasted 10 years or longer. In 2006, a Denver-based oncologist reported that 6.3% of his Taxotere patients had experienced permanent alopecia.